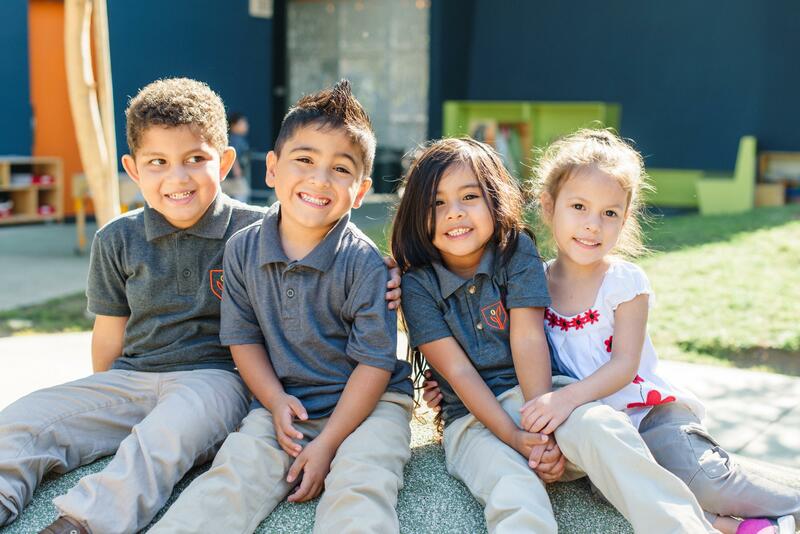 At the Early Childhood Campus, we give 4-year-olds a free, high quality preschool education in English and Spanish. Our program recognizes the uniqueness of each child and supports different ways of learning by emphasizing social development and encouraging children to explore, experiment, take risks, and assume responsibility. Self-expression and creativity are constantly promoted. Active play and guided learning introduce literacy and critical thinking skills. Students receive art instruction and have outdoor playtime in a playground complete with trees, a tricycle track and dance chimes. We are proud to earn our accreditation from the National Association for the Education of Young Children (NAEYC), which sets professional standards for early childhood education programs and helps families identify high-quality programs for their young children. In addition, our classrooms achieved a 5-star quality rating from the Los Angeles Universal Preschool Program, which is the highest distinction that a classroom can receive. I invite you to return to our website regularly and follow us on social media to learn more about our community.